Happy Sunday friends! I hope you are enjoying your Labor Day weekend, if you celebrate that holiday. I have a card for this week's Christmas Card Anything Goes challenge. It just has to be Christmas related. I used all dies on this one. Love my dies! I just purchased this Memory Box die which says Merry Christmas in Polish. I have several family members in Poland to whom I send Christmas cards each year. This will be one of them. I die cut the message from red cardstock, then backed it with green cardstock. The wreath was die cut from the same green paper. I mounted the wreath and added the bow and red stickles for the berries. The bow, wreath, and words are all shimmery from Wink of Stella. I added enamel dots and rounded the top corners. I'm also entering this into the Merry Monday challenge. I'm also entering it into the Festive Friday challenge. 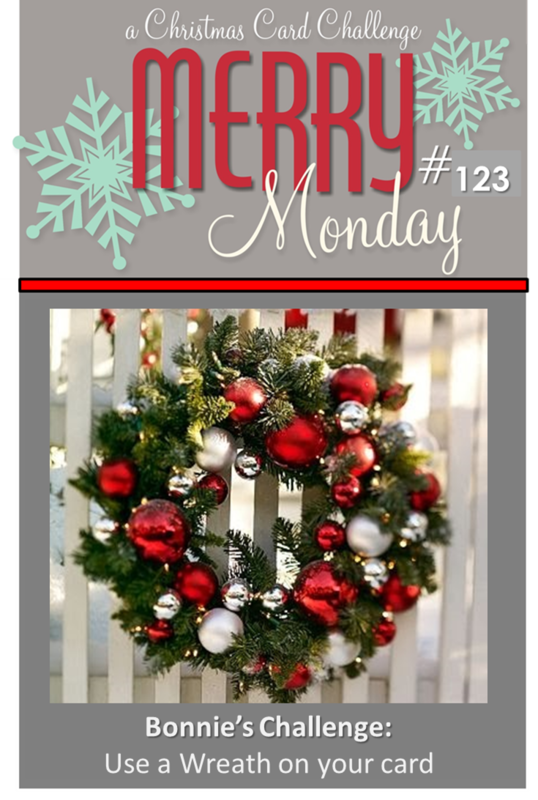 Stop by the Christmas Card challenge blog to see more inspiration and play along! Wow! 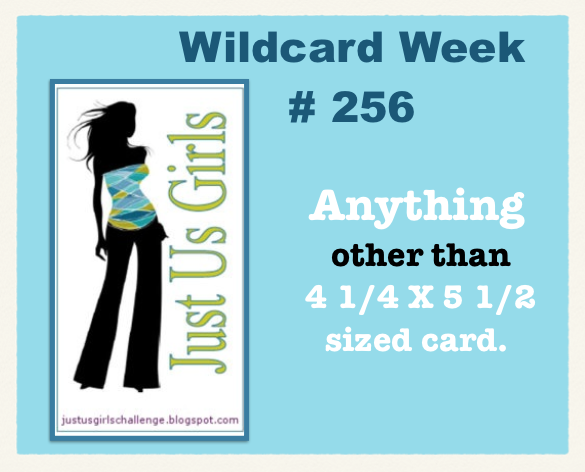 It's the 5th Saturday in August and that means Wild Card challenge over at Just Us Girls. This means the hostess gets to choose any type of challenge. Marisa is our hostess this week and she has chosen for us to make a card other than the standard A-2 card. Before I get to my card, I want to wish Marisa a fond farewell. This is her last challenge with us. She has decided to step down as a JUGs designer due to other obligations. She has been with us for quite some time and is a loyal designer, making beautiful cards on time and kind and heartfelt comments on our participants' blogs. She will certainly be missed. Best wishes, my friend! On to my card. I chose to play in a couple of challenges to create this card (see below), and I used several dies on this card. 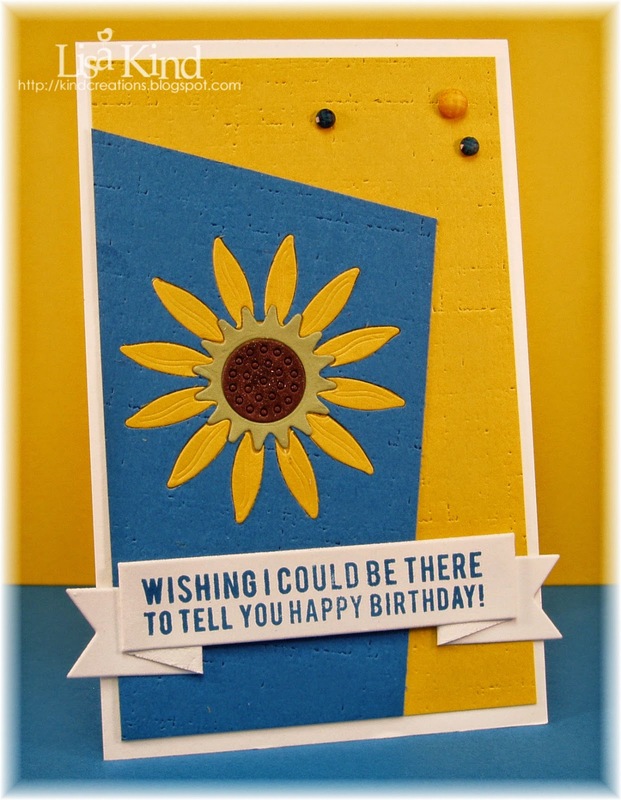 On the blue panel, I first die cut the sunflower out of it, then die cut it again from yellow cardstock. 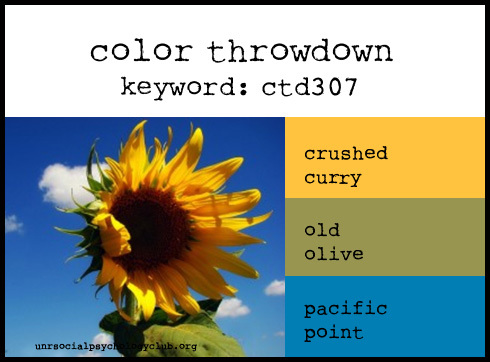 I die cut the middle olive colored piece from the middle of the yellow sunflower. Those yellow petals were then inlaid into the blue piece. The brown piece was die cut from the olive colored piece. The remaining pear colored piece was inlaid into the yellow flower, and then the brown piece was inlaid into that. Make sense? All this to have one layer instead of stacking the three pieces. Before I did all the die cutting, I used the linen impression plate on the blue and yellow panels to give it some texture. Once my flower was assembled, I die cut the banner and stamped the sentiment. I added crystals in the corner. 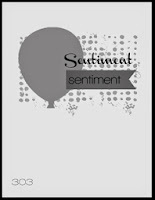 My card is a tall and skinny card, measuring 3.5" x 5.5". 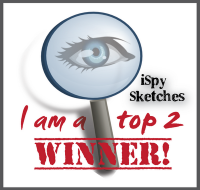 It's skinny enough so that even though the banner hangs off (which I love), it will still fit into an A-2 envelope. The sketch came from (CAS)E this Sketch. 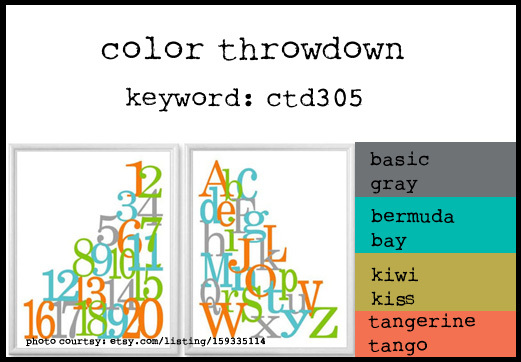 The colors came from Color Throwdown. You can see more from the JUGs designers and our guest on these blogs. 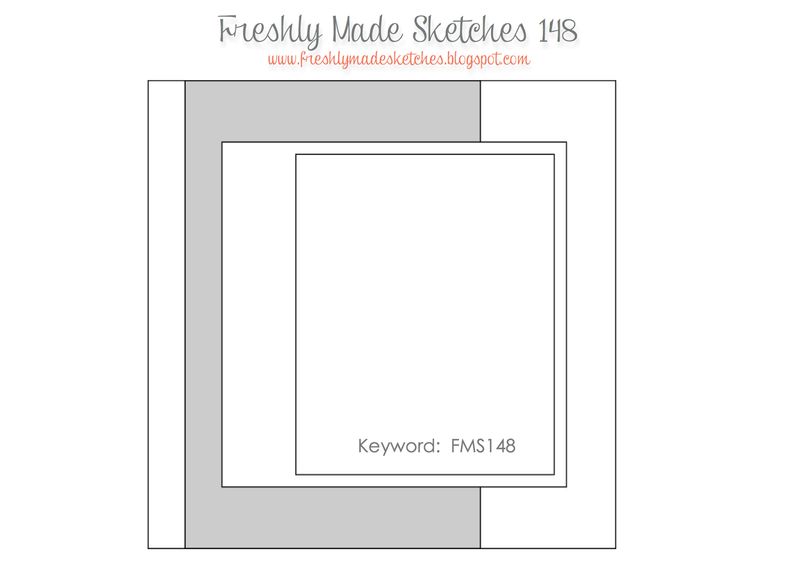 The layout is from Freshly Made Sketches. You can see more inspiration from the Time Out design team on the Time Out blog. Last post for tonight's Stamp-a-Faire event...I'm tired! Well, that's it for me. I don't think I'll be able to do any more of the challenges. Busy tomorrow, then I'll be away for a couple of days visiting a friend in Cleveland. Hello again! This is post #2 for today. I'm participating (or trying to !) in Papertrey Ink's Stamp-a-Faire event. The next challenge was Ancient Rome. Lizzie Jones was the hostess for this challenge. Loved this challenge, however mine didn't go exactly as hers did (of course!). 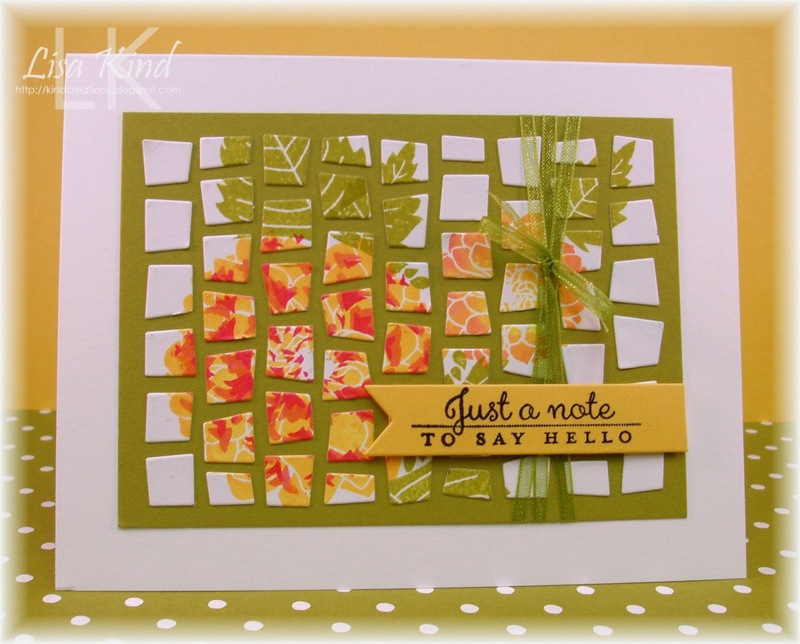 I first stamped the flower and leaf images from Delightful Dahlia using Hero Arts inks. Then I ran it through my Xyron machine so the adhesive was on the back. After that, I ran it through the die cut machine using the Mosaic cover plate die. It wasn't supposed to cut all the way through (Lizzie's didn't), but mine did! You were supposed to be able to pull the backing off and leave everything intact. So when I pulled it off most of the little tiles came off too! I had to puzzle piece the entire piece! It was a labor of love, let me tell ya! LOL! I do like the end results. I pretty much CASED Lizzie's card...it was too pretty not to! I have one more card to try from Lizzie's Ancient Rome challenge, but that's still drying too! Hoping to get that done tonight! Hope you enjoy! Hi friends! 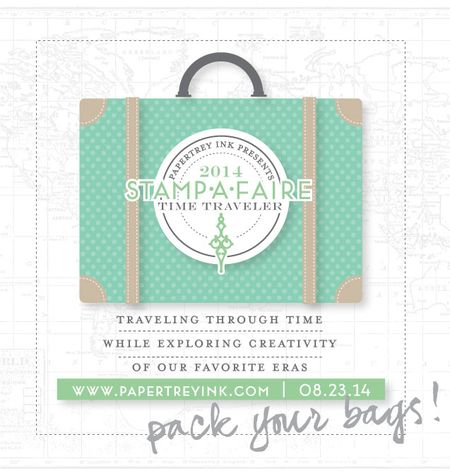 Are you taking part in Papertrey's Stamp-a-Faire event? I'm trying to keep up, but I've only done two cards so far. I was at the Scrap and Stamp Show here in Buffalo, NY with my good stamping buddy Cheryl Rowley. We usually spend the entire time (10-5) at the show looking and purchasing new products. However, she had to leave early to go to a wedding, so I stayed for a little while longer. Then I had my hubby's family picnic to go to. So I didn't have all day to create for this event. The first challenge this morning was a time challenge...you were supposed to create something within 20 minutes. Well, my card took only 5-10 minutes to create, but it took quite a while for the Glossy Accents on my die to dry! Does that count? Anyway, here's the finished card. I used Ombre Builders and Memento Luxe inks (I don't have PTI inks!) to create the border on the bottom. The die is from Wet Paint Cuts. I covered it in Wink of Stella shimmer and Glossy Accents. I added some enamel dots and rounded two opposite corners. The main panel is on dimensional tape. This is the color combo and sketch I used to create the card. That's it for the Morning Timer Challenge at 10:00 at night! LOL! I'll have at least one more post today for my other card I created this evening. After that, I don't know if I'll have time! Hello friends! 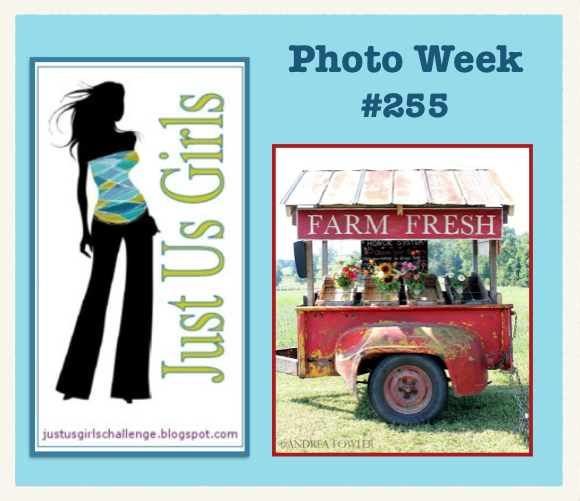 I'm hostessing over at Just Us Girls this week and it's photo week. I chose this photo that I just fell in love with. Here's a close up of the photo. 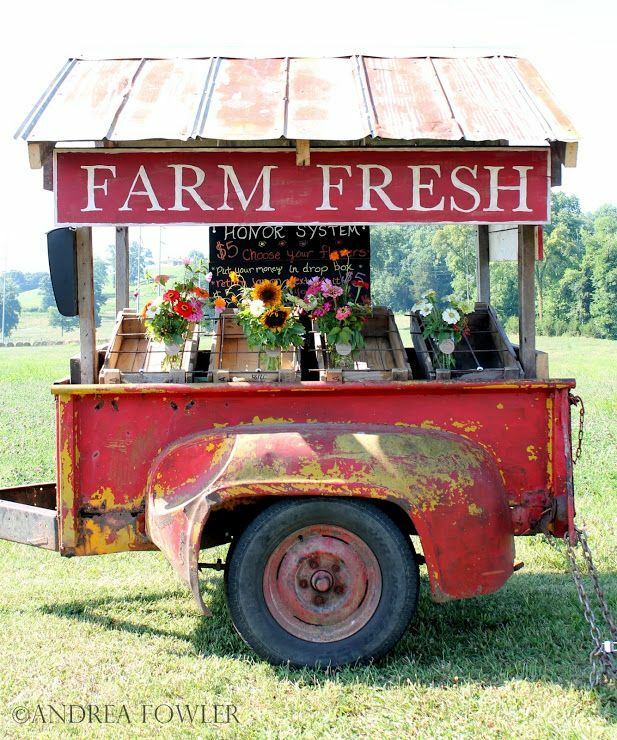 It reminds me of a stand I pass on the way to our cabin, except they sell vegetables at that stand! I'm not in love with card, I'm gonna say it right off the bat. I just could not make it work to my liking! But, it was late and I need to get it done! I do like the way the truck came out. I used distress markers in fired brick and rusty hinge to sort of get the look of the cart in the photo. After that, it's a mess! And it is supposed to be a birthday card for my Time Out design team member Nonni whose birthday was yesterday. There is a birthday linky party going on for her on Sandie's blog. Happy Birthday Nonni! You will be getting a different card (not this one) soon! LOL! 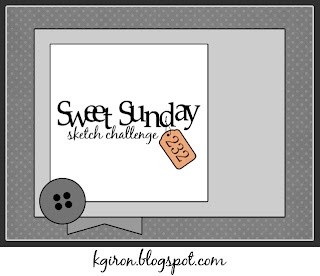 I used the Sweet Sunday Sketch Challenge for my card. You can find more inspiration from the JUGs DT on these blogs. Hi everyone! Time for another Christmas Card Challenge. 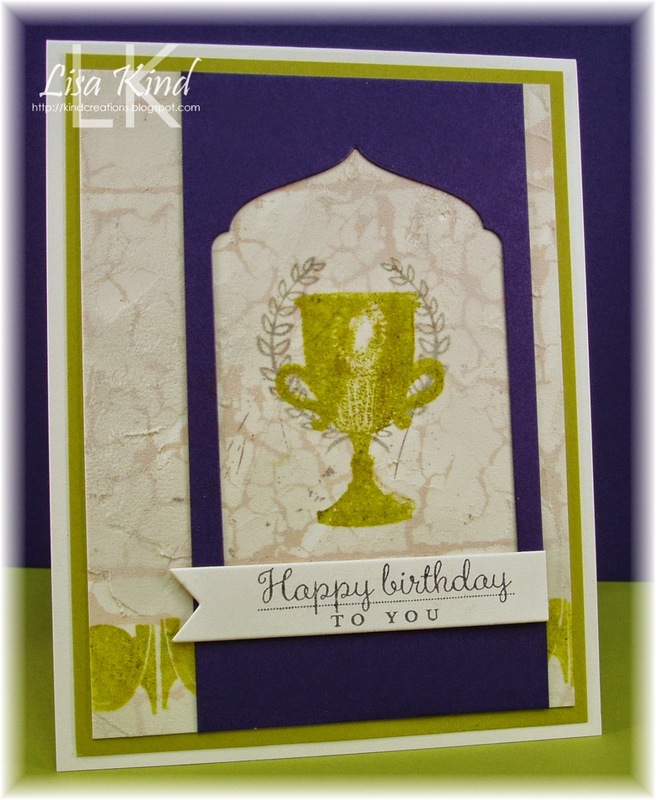 This week the challenge is to use embossing on your card...wet or dry. 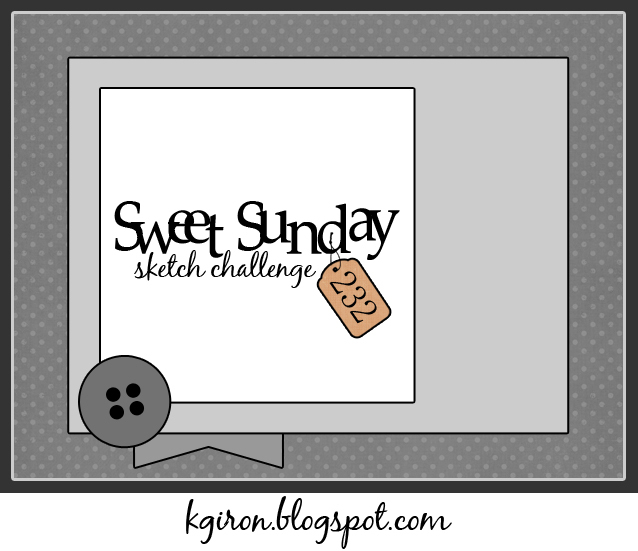 In the current Make It Monday challenge over at Papertrey Ink, Laura Bassen did a technique on creating backgrounds with embossing paste. I loved the technique and created mine with the Twist cover plate to create the background along with embossing paste colored with various inks. I die cut the cover plate twice and adhered them together to make the "stencil" sturdier. Then I added the colored paste. Laura used this PTI scribbles die in vellum behind her die cut word and I realized I had this die! Forgot all about it, but I think it looks fabulous behind the word. I die cut the word three times and adhered them together. I then covered it with Wink of Stella shimmer and Glossy Accents. The crystal snowflakes were another find and I added them as well. Love the way this came out! 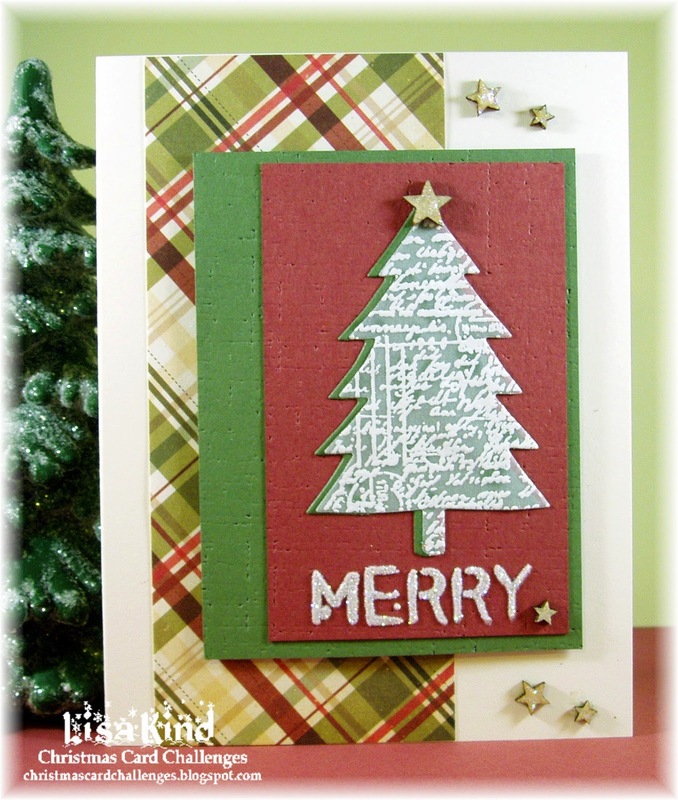 You can see more inspiration on the Christmas Card Challenge blog. Hi there! This is my second post today! When has that happened? You can see my JUGs post here. 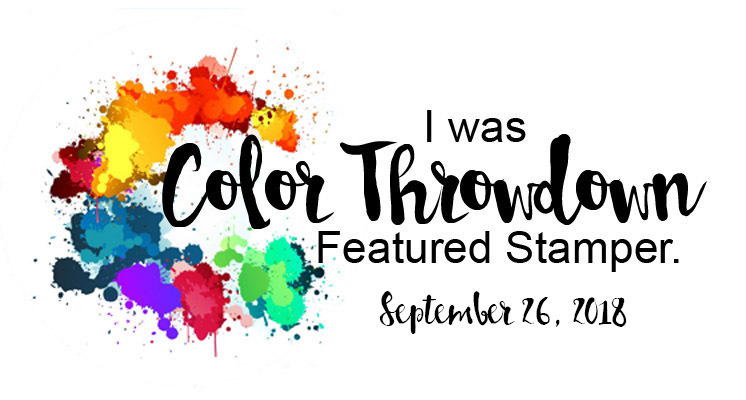 I've been itching all week to play in the Color Throwdown challenge! I love the colors and that graphic gave me an idea I wanted to try. 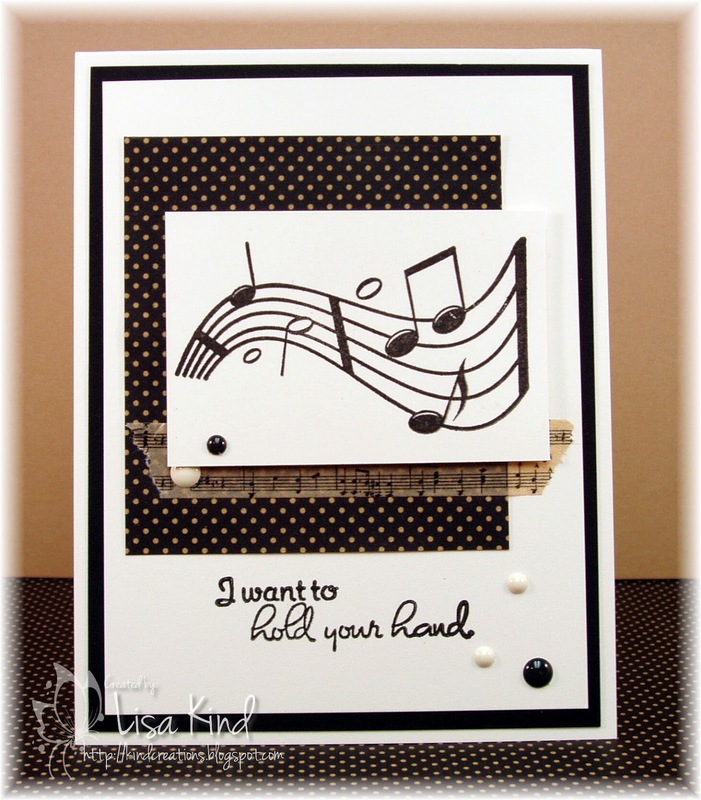 I just received this alpha background stamp from Simon Says Stamp and just thought it was perfect for this challenge. This actually isn't the design I was going for. That triangular piece with the alpha stamp started out as a full piece. 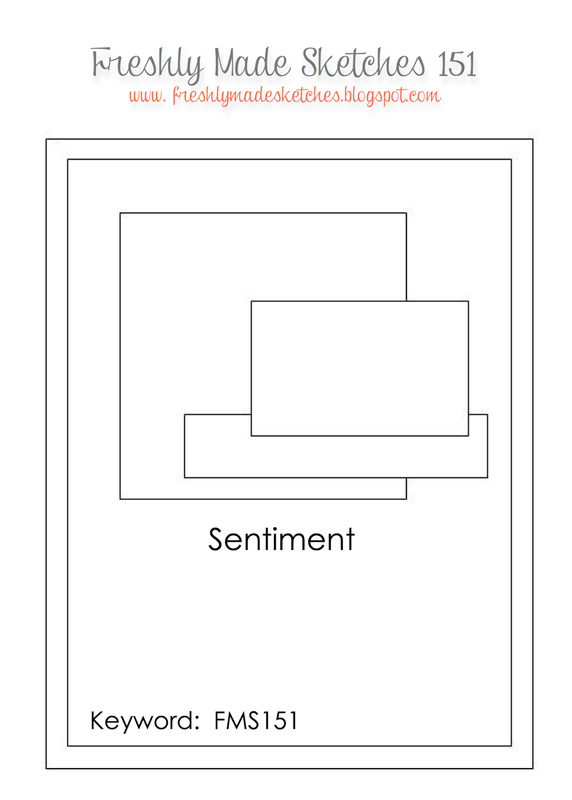 On the white part, I stamped a sentiment which stamped terribly! I was so upset because this happens to me ALL THE TIME! So I chopped off the damaged part and went from there. To separate the stamped letters from the sentiment, I used the stitching lines die to die cut those little dots. Love the look! 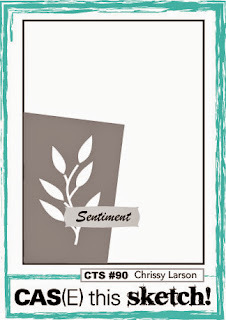 The sentiment was stamped in Versamark and embossed with white embossing powder. I added enamel dots and was done! Happy Saturday! Are you ready for another challenge from Just Us Girls? 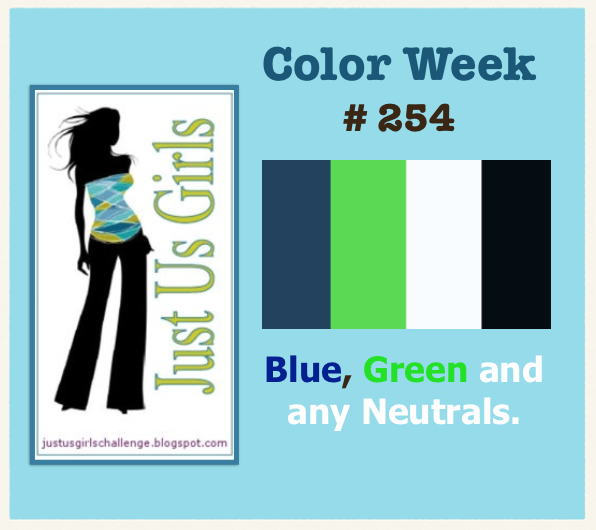 Sue V. has chosen some great colors for our Color Week challenge. This card literally makes me smile! I got to use some stamps I haven't used in a while and a new Smile die! I also added some embossing paste with a stencil. And I broke out the copic markers to color the flowers (when was the last time you saw a green flower?)! I die cut the pocket and stamped it with navy ink. The flowers were stamped with Memento ink and colored with the copics. I added white enamel dots to the center of each one. 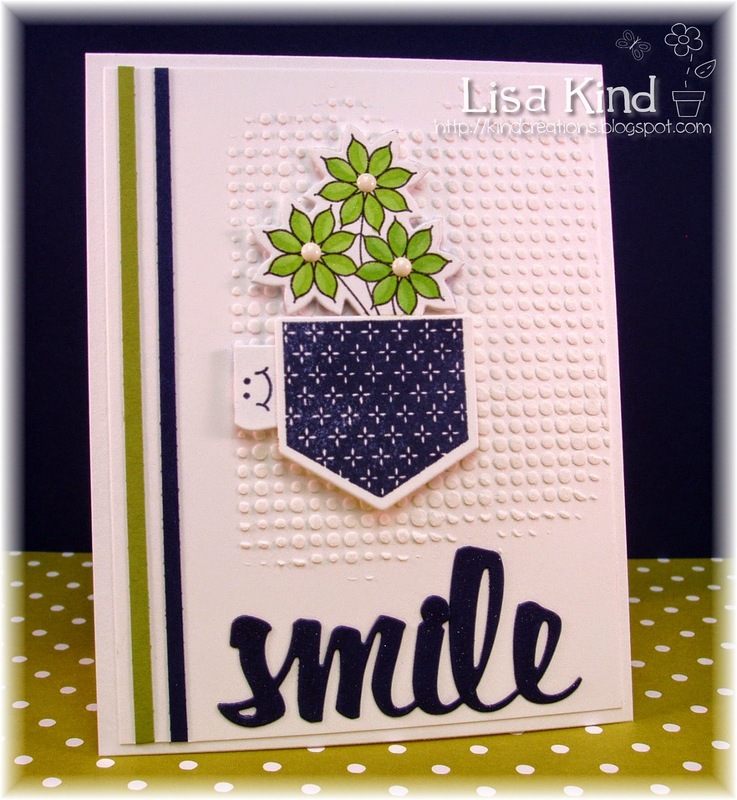 For the little tag on the pocket, I added a smile face that is included in the stamp set. This gave me the idea to use the smile die which I just received this week. That word was die cut from navy cardstock and I added some Wink of Stella shimmer to it and the flowers as well. I added more color with the navy and green strips of paper. 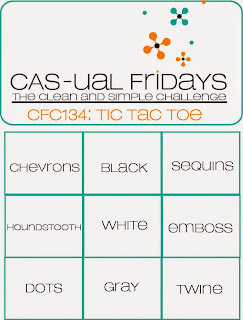 I'm going to enter this in the Clean and Simple Stamping challenge as this is where I got my inspiration for my layout. 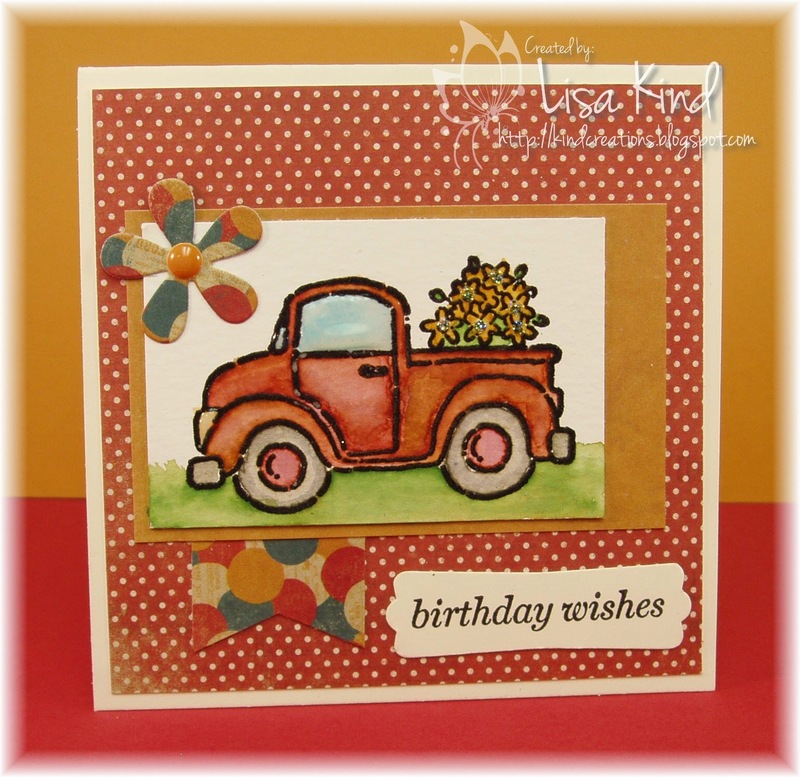 You can see more from the JUGs DT and our Guest Designer on these blogs. Hi all! 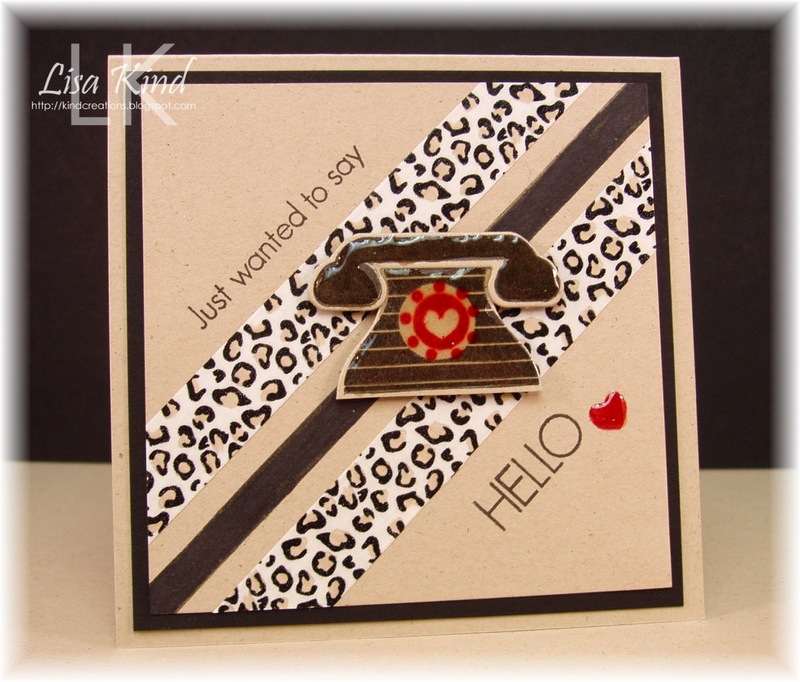 The new challenge over at Time Out Challenges is to CASE this fabulous card by Anita and add your own twist. So here's my take on it. I chose to do a Christmas card because of this new Tim Holtz Holiday Knit stencil. 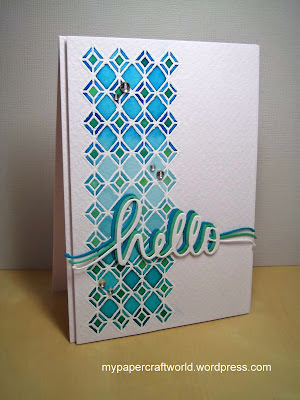 I colored some embossing paste with blue ink and masked off a row of the stencil then added the paste to the stencil. This gave me the row I needed that mimicked Anita's card. I then cut the word out from navy, white, and light blue paper and adhered them in an offset fashion. The word "happy" was stamped in navy ink. I added some enamel dots and some Wink of Stella to the die cut word for some shimmer. You can see more inspiration from the Design Team on these blogs. We also are welcoming our Guest Designer Shona this week! Happy Sunday! 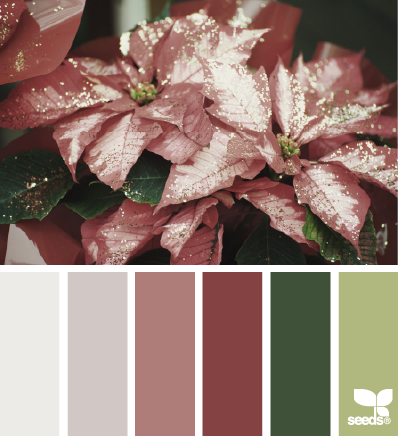 This week's challenge over at Christmas Card Challenges is a color challenge. I think I got all the colors (or most of them) in this card! I embossed the script stamp with white embossing powder onto vellum and added it to the green ﻿so that the green shows up a bit. The green and cranberry panels were run through a linen impression plate. 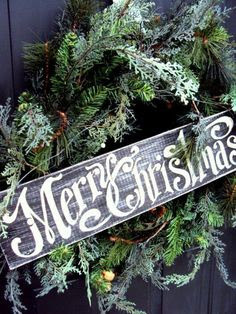 The word is from Tim Holtz's Christmas stencil. I used embossing paste and then poured glitter over it. The wood veneer stars have star dust stickles added to them. 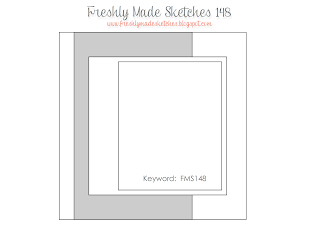 I'm using the sketch from Freshly Made Sketches. You can see more on these blogs from the DT. Hi all! Do you like trends? 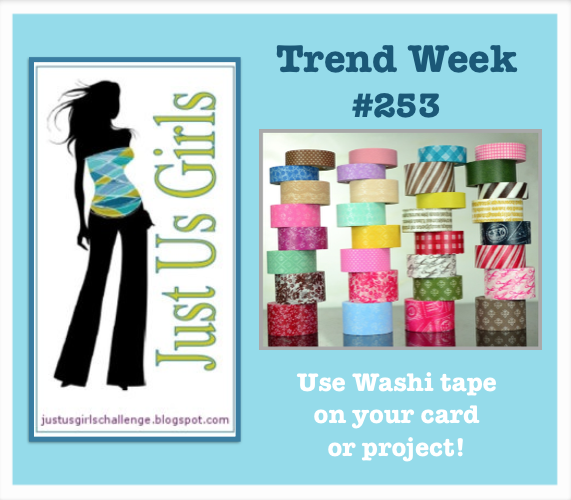 Just Us Girls does, and this week Sharyn has chosen a fabulous one...washi tape! I know you have a roll or two or ten or twenty of it in your craft room! I know I do! What a great time to pull it out and use it! 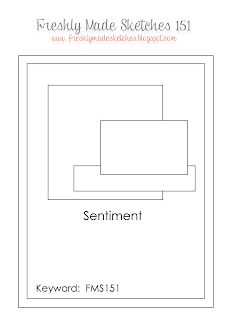 I chose to CASE a card I made a while ago (you can see it here). I just loved that little card, so I just changed it up a bit with the kraft and black to match the animal print washi tape. I made this a square 4.25" x 4.25" card. I started by stamping a black stripe from one corner to another. Then I added the washi tape on either side. I'm not happy with how the telephone came out. The dial in the middle is stamped off-center for one thing. Then the Glossy Accents I added is bumpy along the edges. (As I'm typing this, I'm trying to decide whether or not I want to redo this telephone. It takes a while to dry! I'll keep it for now.) I added the sentiments and lastly the red heart, also covered in Glossy Accents. You can see more washi tape designs from the DT on these blogs. 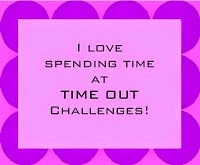 We are into our second week over at Time Out Challenge. This challenge is Celebrations with an optional twist to use butterflies. I chose not to use the butterflies on my card this time around. (I did use a butterfly on my card last week which you can see here.) 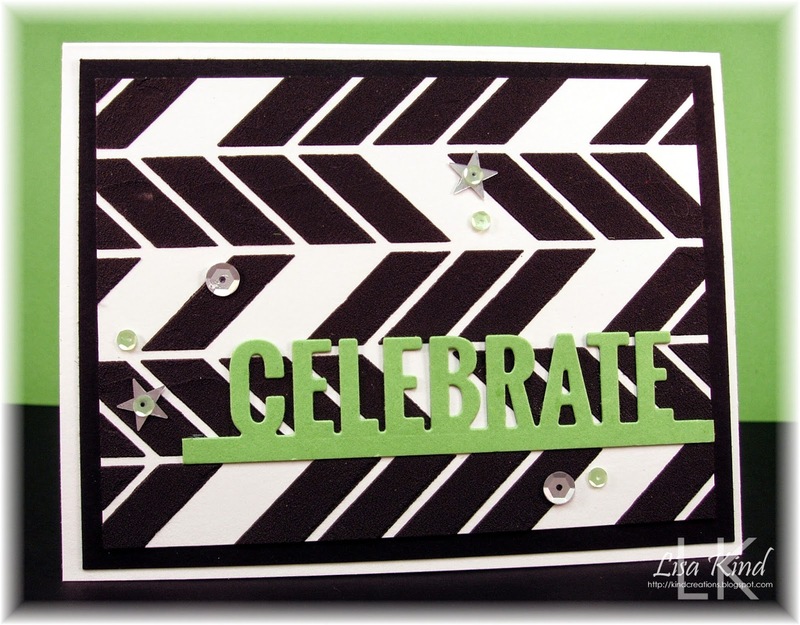 I used a chevron stencil and black embossing paste to create my background. This die set was staring me in the face with the word celebrate on top! Serendipitous, I tell ya! I cut it out of green cardstock and adhered it to the base with glossy accents. Then I pulled out some silver and green (yes green, they don't look it) mini sequins and adhered them to the base as well. Super simple card. I was impressed at how fast the black paste dried as well. 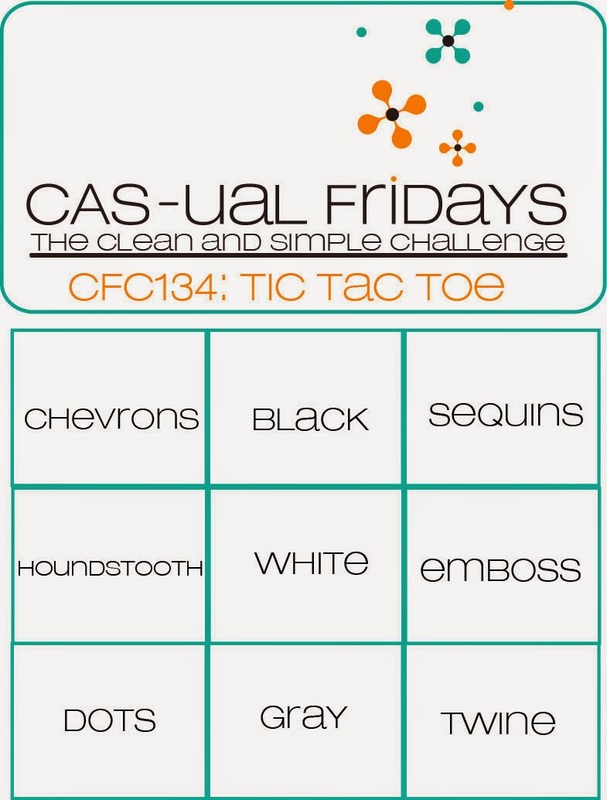 I'm playing along with CAS-ual Friday's last challenge for 2014. Apparently they are taking a break, but are returning in 2015. Their challenge is a tic-tac-toe one. I've chosen the top row: chevrons, black, and sequins.